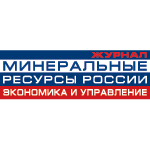 Open to visitors MINEX Russia Exhibition and Business Podium sessions organised alongside the main days of the Forum on 5 and 6 October will provide platform for showcasing advanced mining technologies, mining projects, services and equipment. Over 45 companies and organisations exhibited at the Exhibition in 2015. 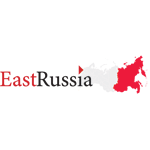 The exhibition was attended by more than 700 specialists from Russian and international companies. From a purely marketing perspective MINEX Russian Forum provides exhibitors a unique opportunity the hangar trade-shows can rarely match. Many tech conferences and big trade-shows are designed to serve the needs of engineers, who then have to “sell” their CEO, COO and CFO the technology they saw at the show. This takes valuable time and often bears no results. In a similar way, forums that market innovations to top decision makers often fail to encourage companies to breach the gap between marketing and practical implementation since people who are the boots on the ground of day to day operations are not present to be able to assess the potential efficiency gains or be able to get answers to important empirical questions. The highly refined and focused content of the MINEX Forum agenda attracts top decision makers who rarely visit trade shows. A concise exhibition and technical sessions organised alongside the Forum attract ops managers, engineers and tech people who often accompany top managers to the Forum. The best of both worlds approach creates a unique platform that places MINEX Forum in a position where the decision makers can evaluate technologies and services on offer while the tech people can discuss concrete plans for their efficient implementation. This combination provides a perfect climate for signing agreements on the spot. The MINEX Russia forum, usually visited by around 500 delegates is tailored towards facilitating as much direct face-to-face time between the investors, mining companies and service producers. A concise exhibition with circa 50 high visibility stands and booths at the conference is purpose built to make innovative products stand out and not get lost in the sea of common and inferior products offered by other companies like it often happens at big tradeshows. All exhibitors can arrange their product or service demonstrations at the “free for visitors” Business Podium sessions organized alongside the show. The representatives of break-thorough technologies are often invited to participate in the panel discussions at the main Forum which gives them a chance to present their case to the top managers. The market conditions in the Russian mining industry are currently aligned in a way that created a perfect window of opportunity to market fresh technology to Russian companies: thanks to favorable exchange rates and lower costs Russian mining companies recently found themselves having some breathing space- and with it the resources to modernize and invest in new technologies. Personal and direct contacts with Russian miners are essential for bypassing trade barriers created by politicians and selling directly to the industry. Success is often attributed to being at the right place at the right time, as many lament the state of mining currently Russia provides some great opportunities in the industry, all you have to do is position yourself right and take them and MINEX is the ideal platform to do so. Business podium sessions will be held alongside the Forum offering exhibitors additional opportunities for arranging demonstrations of products and services for mining industry. Exhibitors can book in advance a presentation slot at a Business Podium session and invite to the presentation up to 50 guests. The meeting room will be equipped with the Audio Visual equipment and Russian-English simultaneous translation services. Presentation slots must be booked in advance (but not later than 22 August). Presenters companies can invite to their presentation up to 50 guests. The meeting room will be equipped with the Audio Visual equipment and Russian-English simultaneous translation services.